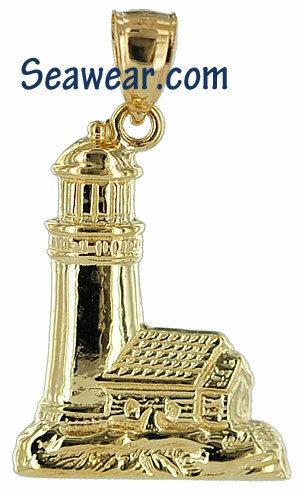 Lighthouse jewelry charms and necklaces of lighthouses of Maine in 14kt gold. 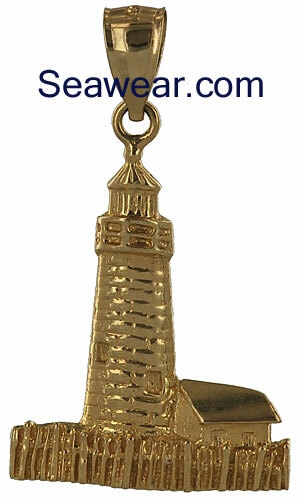 Other Maine lighthouse jewelry available would be Cape Elizabeth lighthouse, Portland lighthouse, Cape Neddick, Pemaquid, West Quod and Whaleback lighthouse. 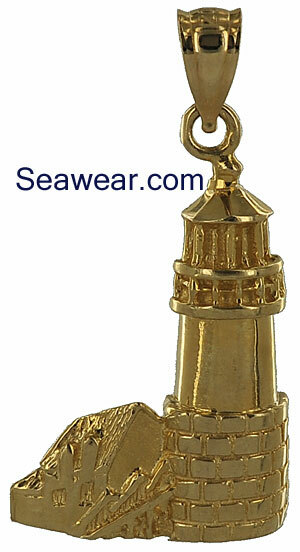 Pemaquid Point ME lighthouse is just beyond the fence. 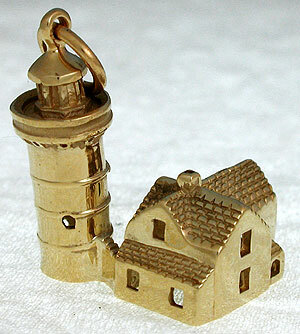 7/8" tall and 3/4" wide App 3.7gms Pemaquid Point is engraved on the back.